Glass On Glass Monster Metallic Water Pipe With Ashcatcher. 16". 1ct. ..
Glass On Glass Monster Metallic Water Pipe With Knuckle Catch Bowl. Assorted Color. 16". 1ct. ..
Kindstack Stash Jar. 1 Kindstack Contains 3 Compartments At 2.5" Diameter. 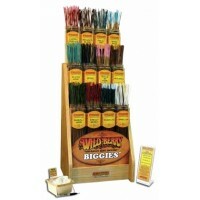 Each Compartment Holds Up..
Wild Berry Biggies Incense And Display. 12 fragrances in a 19" stick. Cherry Vanilla, Dragon's Blood..
Glass On Glass Binger Springs Double Bubble Clear Water Pipe. Bowl And Stem Included. 12". 6ct. 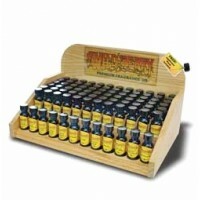 ..
Wild Berry Oil Starter Kit With Display. Kit contains: 12 Fragrance oils (6 bottles of each), An ..
American Made Custom Creations. 7mm Science Burb With Massive Quad Glass On Glass Diffused Downstem,..
Bazooka Glass Liquor Decanter. 18" Tall, 3" Wide. 21oz. 1ct. ..